The Ad Club, the advertising trade organization of New England, recently held its first "Brand-a-thon" contest for creative agencies to come up with branding campaigns for area startups in just three days. Eight shops competed on behalf of nine startups. (Hill Holliday worked on two.) Third place and a check for $500 went to Forge Worldwide for its work on eyewear-on-wheels startup Project 2020. In second place, earning $1,000, was Allen & Gerritsen, which teamed with Supplet, an organic products subscription service for new moms. The night's big winner was Nail Communications in Providence, R.I., which took home $2,500 and bragging rights for its work on Spray Cake, a product invented by a pair of Harvard students that "makes warm, fresh and delicious cake as easy as a whipped cream-style can of our batter, a pan, and an oven or microwave." 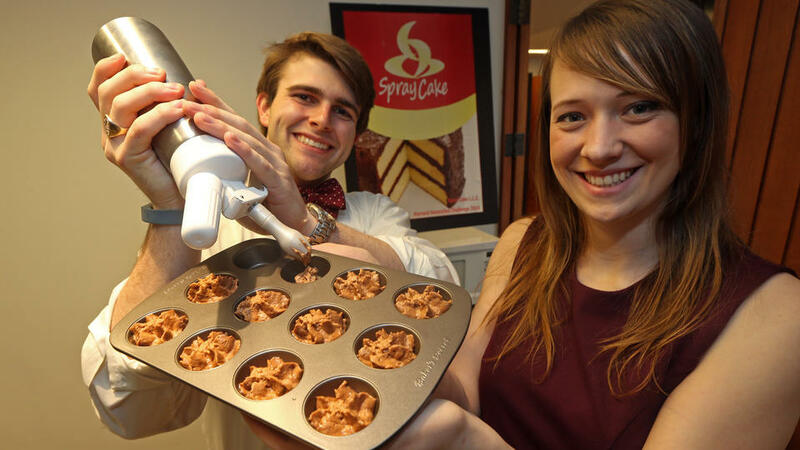 That cash prize seems like a fair payout for a couple of all-nighters—even if Spray Cake, which won an innovation contest at Harvard and could be on store shelves by the end of the summer, isn't the future of dessert. Check out Nail's Spray Cake video below.